Apartment N. 117: It can accommodate up to 2 people, it is rented from 57 € per Night (not per person). 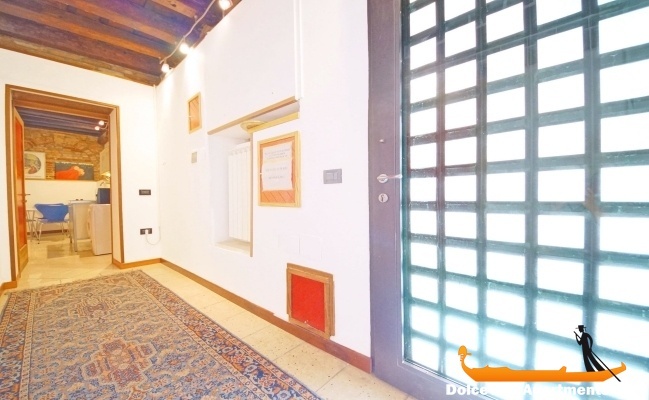 This romantic studio, dominated by blue colors, is located on the ground floor of a building a few meters from Palazzo Grassi. It is easily accessible thanks to the vaporetto stop of San Samuele. 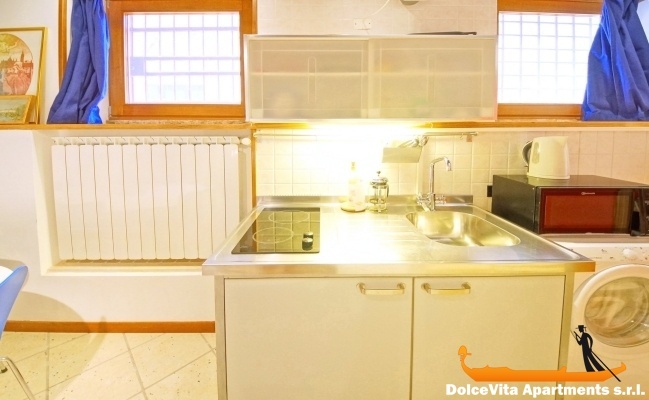 You will find a comfortable double bed, a kitchenette and a bathroom with shower, everything is completely renovated. It is the ideal base for a stay in the heart of magical Venice. St. Stephen and St. Angel squares are within walking distance as well as the Saint Mark square. 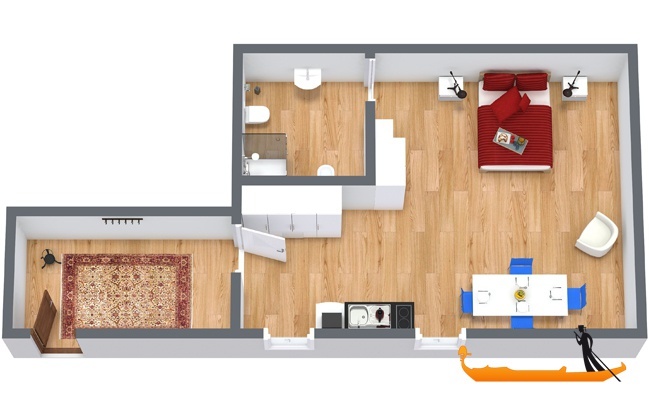 If you are traveling with another couple of friends, you can also book the adjacent apartment.